Rajasthan is one of India’s most-visited corners – and little wonder, given that it’s replete with towering forts, colossal palaces, striking desert landscapes and other ancient vestiges of its regal past. While visitors certainlyshouldmake time to see some of its best-known sights – from the Amber Fort to the Hawa Mahal to Lake Pichola – those looking to truly discover Rajasthan should also prepare to duck off the tourist track. From gorgeous wilderness camps and tucked-away palaces to historic cities and incredible architecture, these hidden sights represent the real heart of Rajasthan. Think of Bundi as a smaller, less-known version of Jodhpur. The city, which dates to the 12th century, boasts the same brilliant blue houses – and the same towering fort – of its better-known peer…just without the crowds. 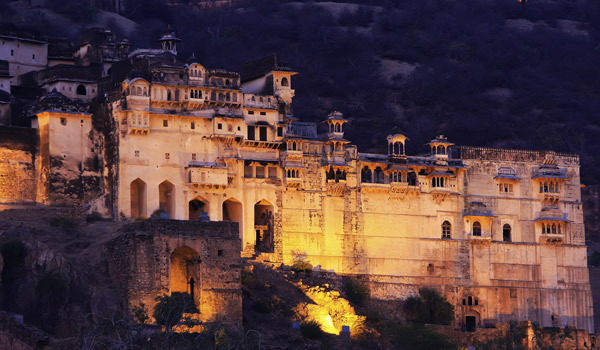 Train your camera to the Taragarh Fort and the Bundi Palace, and save time for a stroll through the scenic backstreets. Hospitality, history, and unparalleled views of the landscape between Agra and Ranthambhore: the Ramathra Fort isn’t just a stunning local landmark, but it also promises guests a tranquil getaway. From its hilltop vantage point, visitors hoping to discover Rajasthan can embark on jeep safaris and explore the Kalisil Lake, before retiring to a luxury suite in the 350 year-old retreat. 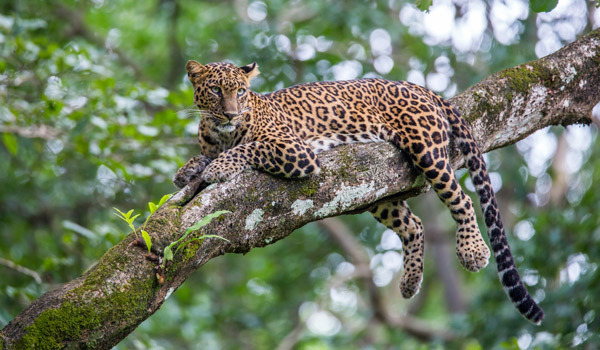 Rajasthan is famous for its big cats, with the chance to spot these majestic animals in the wild one of the greatest draws for travellers. 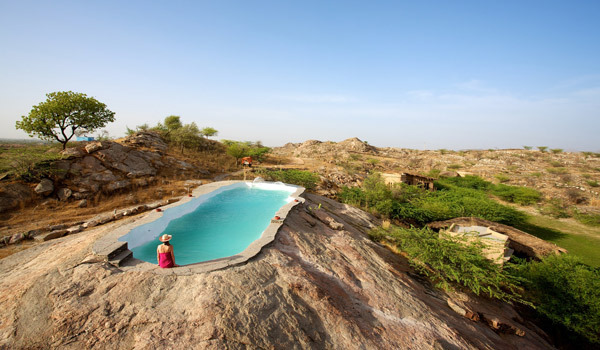 If you really want to get up close and personal, it’s hard to do better than the JAWAI Leopard Camp. Comprising 10 luxurious tents for glamping, and located in the midst of leopard territory, JAWAI combines wild nature with generous pampering. Rajasthan’s best-known forts – Amber, Mehrangarh, Jaisalmer – regularly attract swarms of visitors. Fair enough, considering these monumental beauties are UNESCO-grade heritage sites. But for a similarly impressive (and less trafficked) alternative, add the Bhainsrorgarh Fort to your list. With origins dating to the 2nd century, today’s renovated landmark has also been recast as a heritage hotel. 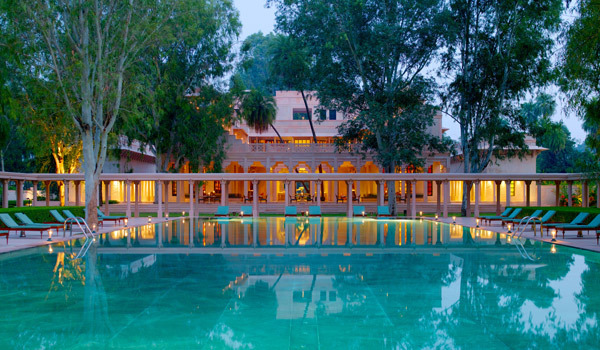 As with much of Rajasthan, Amanbagh rests on land with regal pedigree: the area that the resort occupies, a rural tract outside of Jaipur, was once used for royal hunts. These days, though, the retreat is more oasis than hunting ground, with its Mughal-inspired architecture, its garden swimming pool, its luxurious spa and its haveli suites. Planning a romantic getaway? The boutique Shahpura Bagh heritage hotel is at once accessible – located as it is between Jaipur and Udaipur – but also remote, guaranteeing a getaway free of crowds or distraction. Instead, you can focus all your attention on the luxurious suites, pristine pools and lakes, home-cooked Rajasthani fare and gorgeous grounds. The rugged desert landscapes surrounding Lakshman Sagar are strikingly beautiful – particularly when counterposed against the simple lines of the elegantly contemporary resort. Guests are invited to stay in the retreat’s 12 private cottages, which have been designed to reflect local architectural traditions; each also hosts its own, private splash pool. Virtually all guests seeking to discover Rajasthan opt to visit the lavish palaces that can be found in India’s frontier state. For the quintessential Rajasthani experience – but one that falls off the tourist track – the exclusive Samode Palace outside of Jaipur is one to discover. With 475 years of history behind it, the extraordinarily decorative landmark is a true luxury haven. 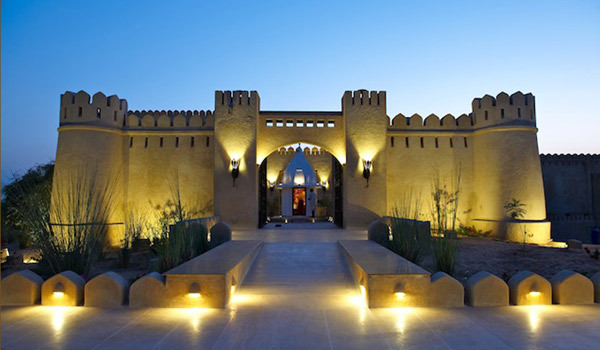 Constructed as recently as 2009, Mihir Garh seamlessly occupies its golden landscape: crafted from clay and other local materials, the hotel merges Rajasthani heritage with modernity. After time spent enjoying Jacuzzis, private terraces, and other treats, guests can embark on equestrian adventures and safaris.